Most companies would kill for excited shoppers, big sales and record store traffic. Build-a-Bear Workshop's executives, fearful of the crying children, bad press and forced store closures caused by their 'Pay Your Age' promotion in July, chose to leave teddies on the table this autumn. The Pay Your Age offer allowed customers to buy a bear – typically costing up to £52 - for the same price as their age. 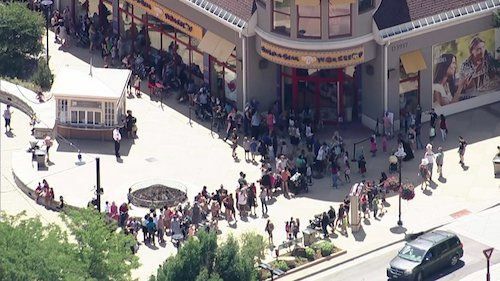 The deal spurred an unprecedented amount of traffic to Build-a-Bear stores, resulting in headlines describing "chaos" as shoppers queued for hours or were turned away. Afraid to disappoint customers again and invite more negative publicity, Build-a-Bear's bosses scrapped their planned promotions around National Teddy Bear Day in September. Citing the “close proximity” to the Pay Your Age fiasco and the “long lines” its deals have generated in previous years, plus “heightened awareness and sensitivity of both consumers and the press” and the potential for “brand-damaging coverage and social media”, CEO Sharon Price John and her team deliberately downplayed the day. Given Build-a-Bear’s recent underperformance and the company's numerous headwinds, that may have been the wrong decision. Revenue fell almost 10% in the 13 weeks to 3 November compared to the same period last year, as sales fell nearly 7.5% in in North America and more than 23% in Europe. As costs hardly declined, the company’s pre-tax loss widened from $3.9 million to $10 million. Executives blamed lower sales around National Teddy Bear Day as well as Brexit uncertainty, a tough retail environment and new privacy and data-protection regulations in the UK that have eroded its customer database and hampered its direct marketing and ability to attract new subscribers. They also pointed to reports of a 40% decline in mall traffic over the past five years, fewer parents bringing children to malls for a day out, and fewer children's blockbusters driving traffic to malls and galvanising sales of tie-in products such as My Little Pony plush toys last year. Still, Build-a-Bear's short-term prospects aren't dire. It plans to compensate for a quiet National Teddy Bear Day with a marketing push around National Hug Day in January, and expects to sell plenty of Toothless the Dragon plushes when How To Train Your Dragon 3 comes out in March - Toothless is its highest-selling movie character ever. Moreover, the Count Your Candles promotion recognises birthdays are the biggest reason for customers to visit Build-a-Bear stores. It attracts new and repeat customers - more than half of those who’ve taken part in the promotion are new to the Bonus Club – and helps the company to gather customer details for targeted marketing. However, in light of Build-a-Bear’s current challenges, it should have doubled down on the success of its Pay Your Age promotion. It may have avoided disorder, disgruntled customers and derogatory press by downplaying National Teddy Bear Day, but it also sacrificed the kind of hype, enthusiasm and sales that retailers rarely muster. Banking on the same excitement and breathless demand in January is a risky bet that the company could live to regret.